The sales performance of the BlackBerry Z10 has been a topic of debate, although platform numbers suggest that the device hasn't been able to stop BlackBerry's slide. But, the company is already preparing the follow-up to the all-touchscreen smartphone with the BlackBerry A10, code-named Aristo, which is reportedly due to be released in November, and already has a commitment from Sprint to carry the phone. The report comes from CNET, but has not been confirmed by either BlackBerry or Sprint. The BlackBerry A10 is said to feature the same all-touchscreen design as the Z10, and will become the new high-end offering when it launches for the holiday season. 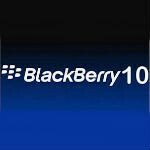 That will push the Z10 and Q10 to the middle tier, and leave the Q5 as BlackBerry's low-end option. Unfortunately, there is no word on what to expect from the hardware itself. But, CNET claims that a source close to Sprint has confirmed that the carrier will be offering the A10, despite the fact that Sprint does not offer the Z10. This is not an exclusive agreement though, so it's likely that the A10 will also make its way to Verizon and AT&T at least, both of which offered the Z10. Most likely a phablet, you know, this year end will be a giant race - literally. Now bring it on!! But I thought it will have 4.7 inch and quad core. 4.7 would be plenty for me. 5 inches, well I have a feeling it will be OK, but we will see.